If you woke up by yourself this morning, Happy Single Awareness Day! 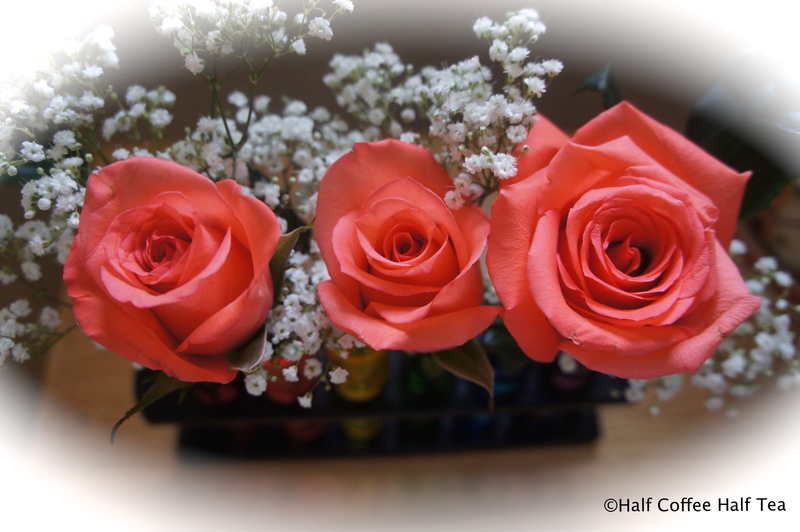 Whether if you got flowers from a significant someone or bought them yourself, there is no doubt, you want them to look pretty. 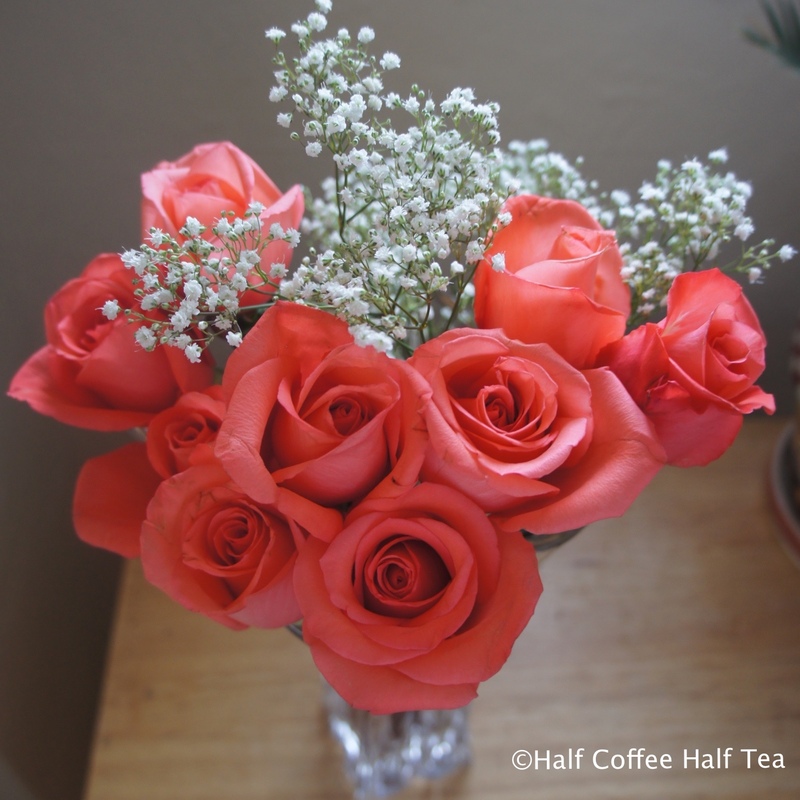 Today, I am going to share an alternative way you can experiment with your flower displays. 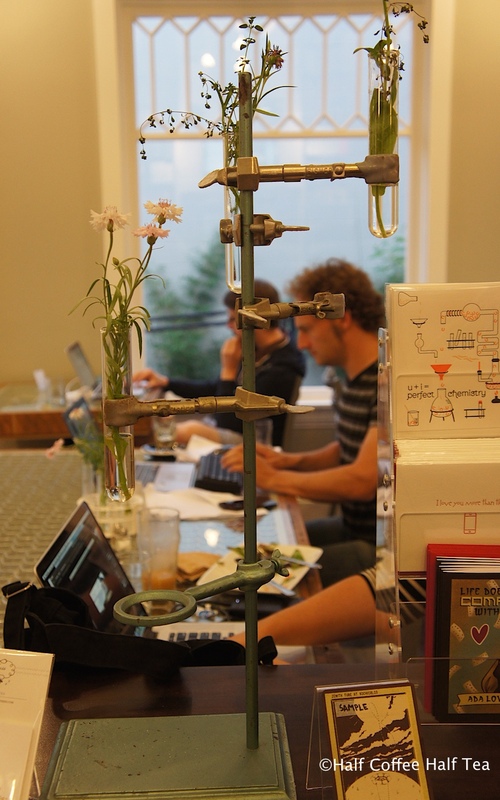 One thing that caught most of my attention was these test tube vases decorated throughout the café. 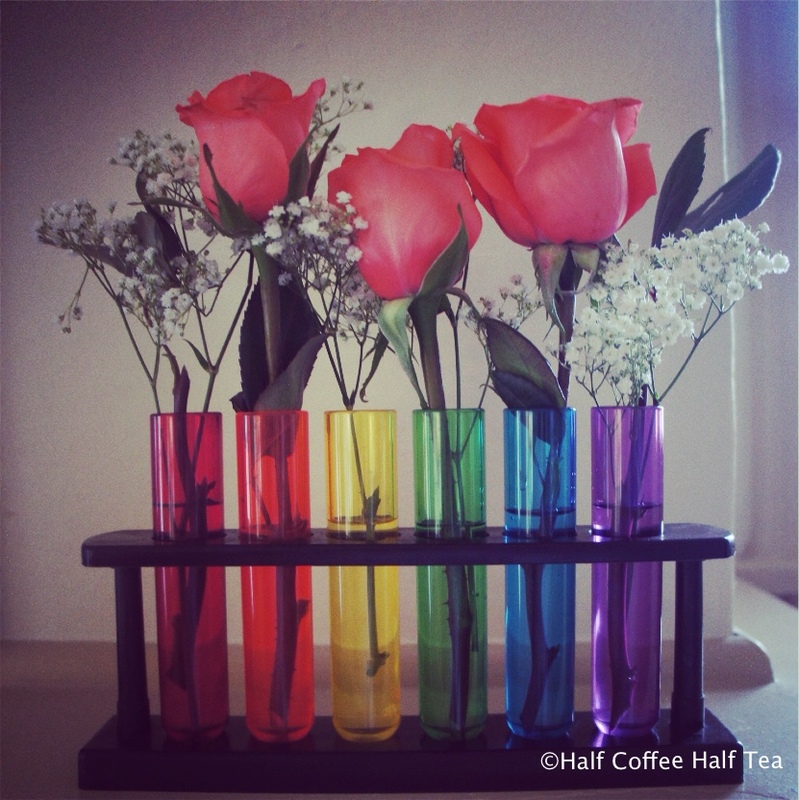 They match the theme of the café very well, and are also very simple to do – all you need is a science major friend and some beautiful flowers.